Are “New World wines” bad wines? I’m sorry to tell you this (for the New World readers), but many people in Europe believe that! They believe that New World wines, wines from outside Europe, wines of the new world, are not good. They feel they are of cheap quality, are just easy to drink and contain no quality, in part because of the few traditions around there. Having lived, myself, in New World wine regions such as Australia, California and Chile, I can tell you: These people are wrong! These wine regions, it’s true, are newer. It is also true that, as new babies, they were in the past not making the best wines. But that’s the same for wines from the south of France! At the beginning of the 19th century they used to make cheap wines … yes, they did! We’re living in the 21st century and in a world where information is king! Didn’t you realize it? You can find anything on the internet! Everybody travels, and it is so easy now, if you have the money and time, to go to New Zealand or you can even speak with people there through Skype or Google Hangout. This means that winemakers travel. Winemakers have access to internet. Winemakers can speak with others winemakers anywhere in the world! Remember, information is king! So if you want to have the best information to grow your Cabernet Sauvignon grape in a cold cool climate place near the sea you can find the best practices! And it is all happening right now! It is true that there is less tradition in the New World wine regions but, as they’re new, they have the best installations in place! In Europe, some wineries, because they can’t afford it yet, are still using bad installations to make their wines. New World winemakers are the new babies and have access to all the information they can have if they want to. They have the advantage of learning from their old cousins. They save lots of time! They are lucky in a way. 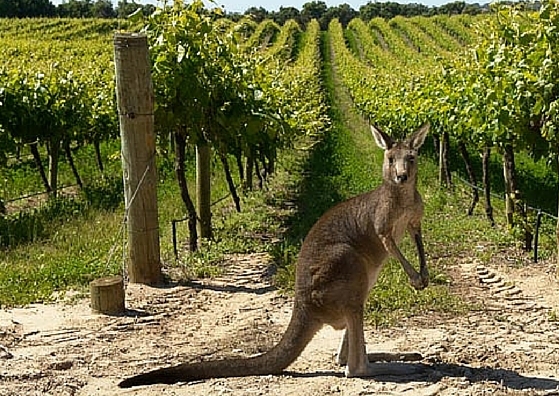 Also, many European winemakers, dreaming for new adventures or tired of the heaviness around making wine in Europe (too many rules), are taking the big jump and starting a new life at the other side of the world or just buying a vineyard there while still making wine in Europe. There are many examples such as this famous Negociant from Burgundy, Louis Jadot, who purchased a field in Oregon (U.S.) two years ago to make Pinot Noir. This grape variety is Emperor in Burgundy but also in this New World wine region. It is not new that Oregon makes fantastic Pinot Noir that sometimes beat top Burgundy wines when tasted blind. Outstanding wines are created everywhere in the world and not only in Europe. So, don’t blind yourself by what people say. Make your own judgement about it. Be open and curious and that’s where the fun gets in! Remember, wine is fun and is one of Life’s great pleasures. Have you ever wondered which wine to drink and with what? Check out my Checklist and Embark on a wonderful Journey with me! Click here to get Your Wine Traveler Checklist Now! Valérie is Founder and Creator of adventureintoflavours.com, a blog focused on offering unique wine experiences through its e-guides and other activities.